Replenishing gel masque to amp up hair density. Masque Densité Travel-Size Hair Mask is rated 4.6 out of 5 by 53. 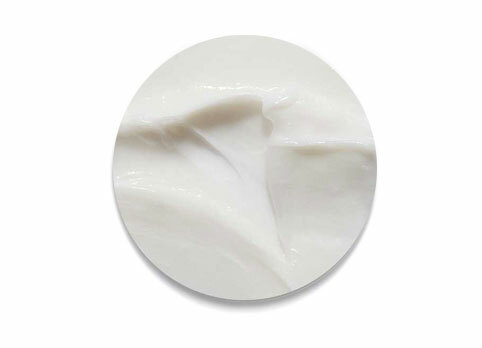 Apply a quarter size amount of Masque Densité to wet hair, working from mid-length to ends. Leave on for 5-10 minutes, then rinse. Can be used daily. Daily treatment to restore substance, shine, and resiliency. Light, rinsable gel that won’t weigh down hair while detangling and smoothing. Rated 5 out of 5 by EFRielly from Love this product! I had my hair done on a cruise in their salon. I was very impressed with the hairdresser, that had taken the time to listen to my concerns about my aging hair. He gave me great suggestions and the most wonderful cut! BUT, I was very impressed with the product Kerastase Hair Mask, along with the shampoo, hair cream for blow drying my hair, and the mousse. I have been using these products for over a year, following his instructions. The only thing that could make me happier is to be able to find a hairdresser that can do the same cut and style! Best products I have every found! Rated 5 out of 5 by memaina from Trust me, best mask ever! I've been using it for 2 months and I loved it! My hair got smoother and this is not even for freezes and anyway I could see my hair getting much better since then. Rated 1 out of 5 by Maro from Far from what expected I bought because the volume and for me works exactly in the opposite way. My hair was sleek and heavy, I tried a second time using a pea size and I need to wash may hair in the next day. So didn't work for me my hair is oily in the roots and dry in the ends. Rated 4 out of 5 by Acpenaloza from Great product ! I received this mask along with the shampoo complimentary for testing purposes. I did love the lightweight feel that this mask left on my hair and it made my hair feel so clean and it didn't feel like I was putting lots of chemicals in it. I'm giving it a four star because I have found other products that work just as well. Rated 5 out of 5 by blissfulgal from Doesn't weight hair down! I'm always skeptical of hair masks because I'm afraid they will weigh my hair down, but not this one! I love the scent and the fact that it makes my hair look wonderful. I received this masque for free however all opinions are my own. Rated 4 out of 5 by 2classysisters from Amazing Mask! I have been using this mask for a few weeks now paired with the shampoo. I was able to notice results after first use and it's just getting better! I love how soft my hair is after I use this product. I did receive this product for free but I definitely see myself buying it in the future. Rated 5 out of 5 by mrr221 from Great product! I received this masque for free in my Influenster box and am so happy that I was chosen. I've always wanted to try Kerastase products, and this proves I should've done so earlier. I love this masque, it smells amazing, and doesn't leave my hair greasy. Masque Densité Hair Mask Hair thickening & densifying hair mask. Fondant Densité Conditioner Hair thickening & densifying conditioner. Densimorphose® Hair Mousse Hair thickening & densifying mousse.